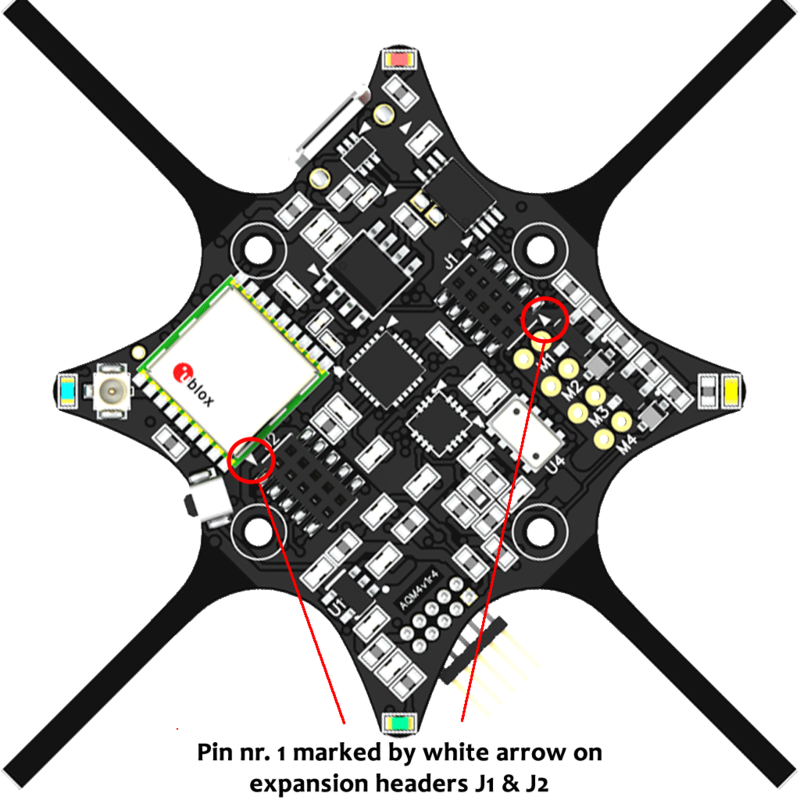 The M4 board has an Expansion board header on the bottom side that offers options to directly expand M4 by attaching expansion boards. 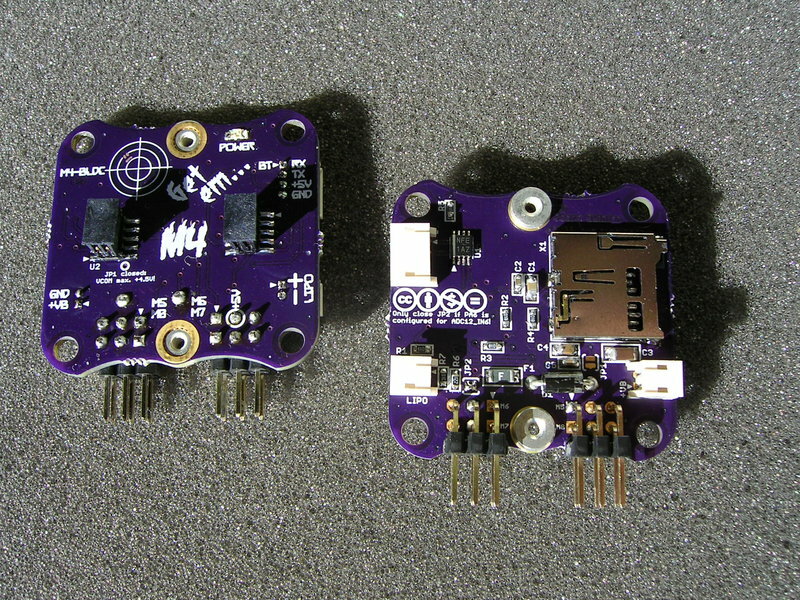 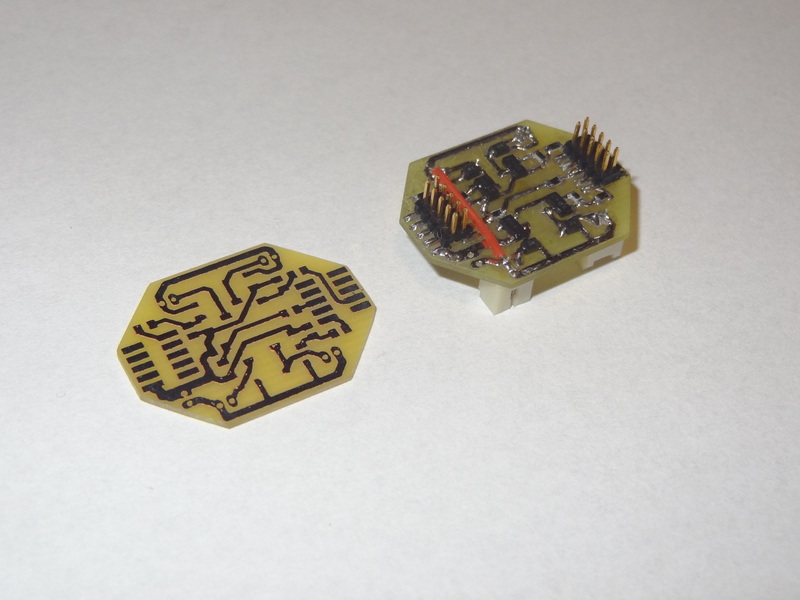 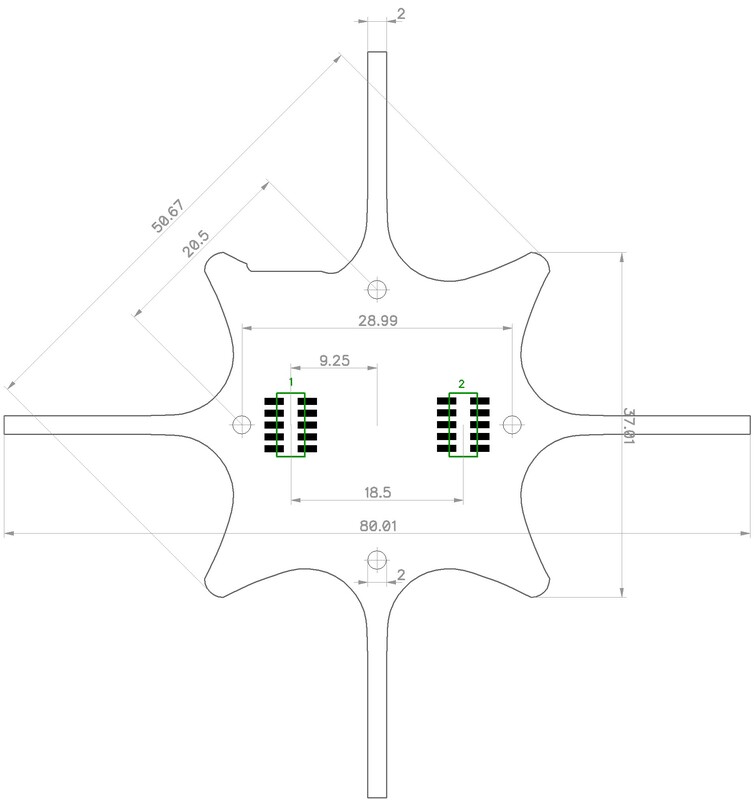 The male connector needed to design your own expansion boards is a 2*5 pin 0.05″ pitch male header – shown below in a SMT version. 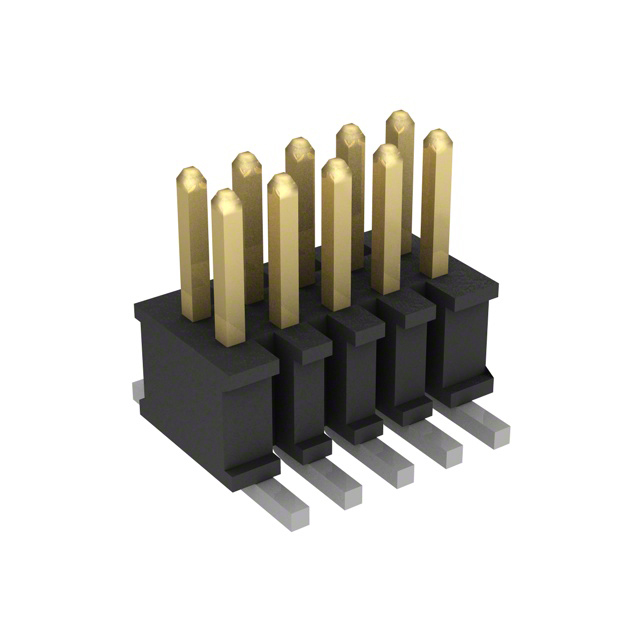 Reference part number is FTSH-105-01-L-DV-TR-ND, but other similar 0.05″ headers can be used – Surface mount or Trough hole. 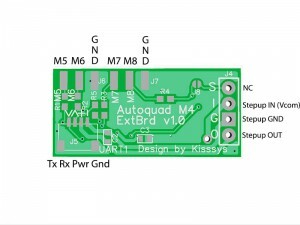 You can download a diptrace board file and schematic from our FTP server and use that as a basis for creating your own expansion boards. 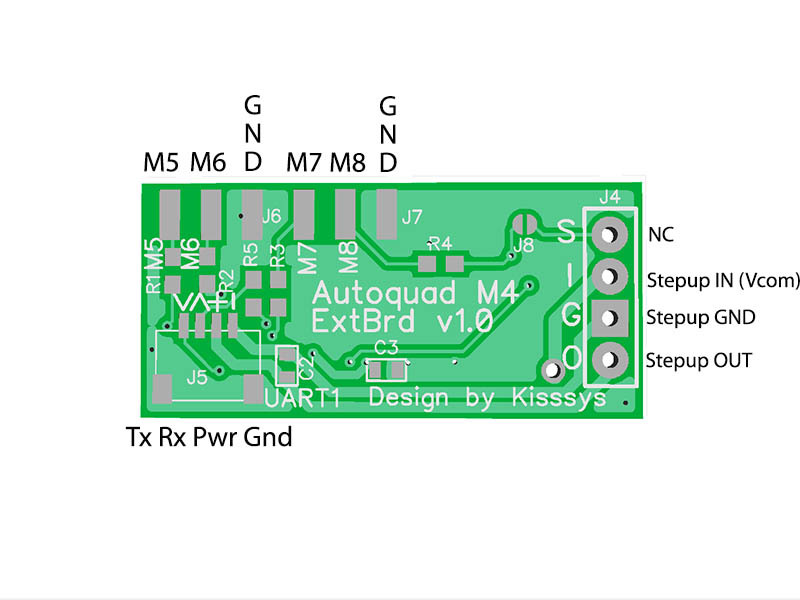 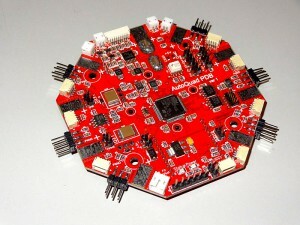 Kisssys expansion board: Micro-SD, UART (connected to a BT module), 4 PWM and 3.3v pololu stepup for powering peripherals. 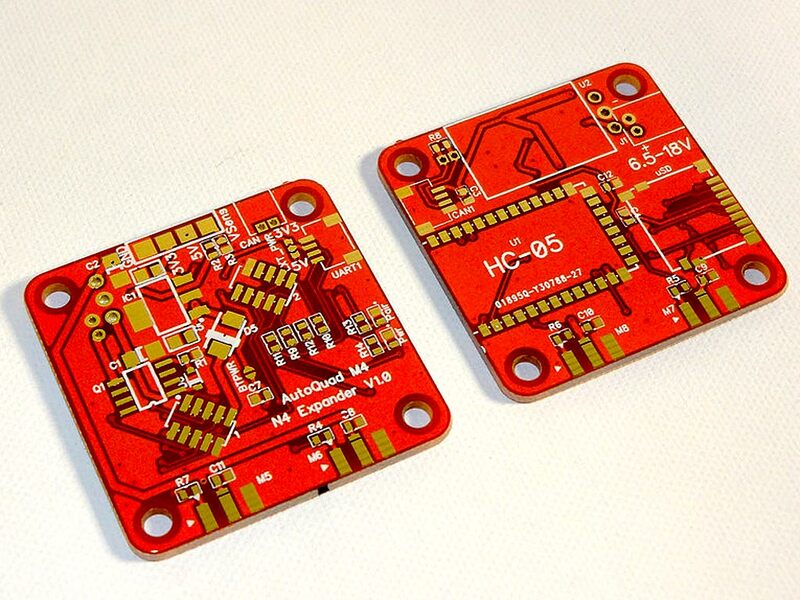 More expansion boards are in production. 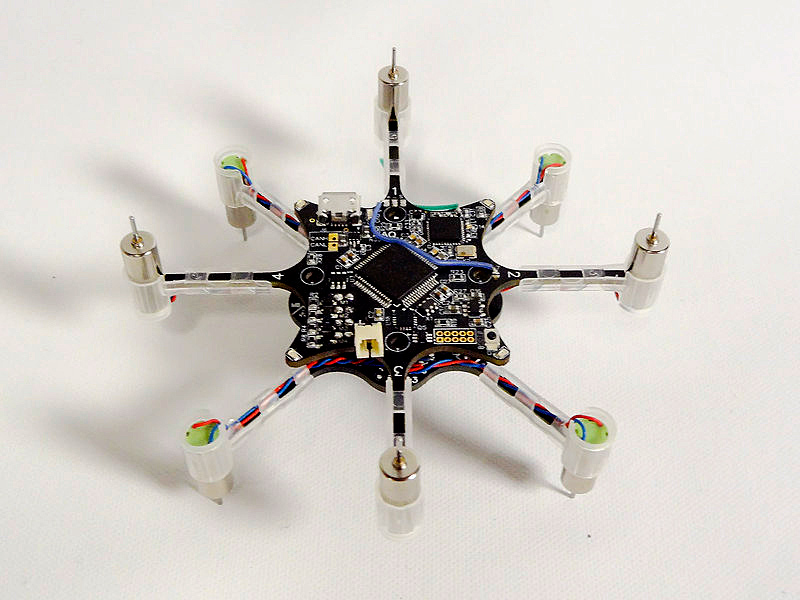 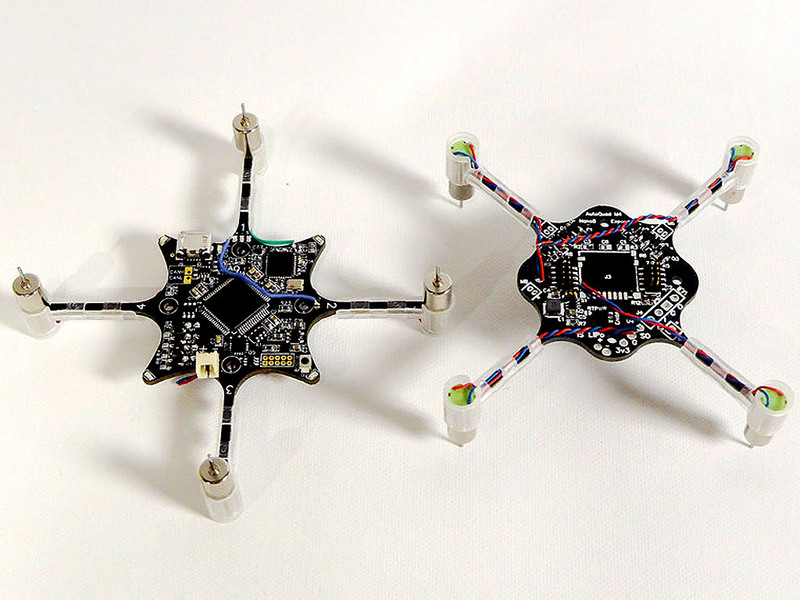 So an Autoquad M4 with the right expander will make able to create a small brushless quad with full autonomous capabilities. And if using ESC32 with CAN bus, you can use M4 to fly a heavy payload craft with up to 16 motors AND still have 4 servo PWM channels to control Gimbal and camera functions with. 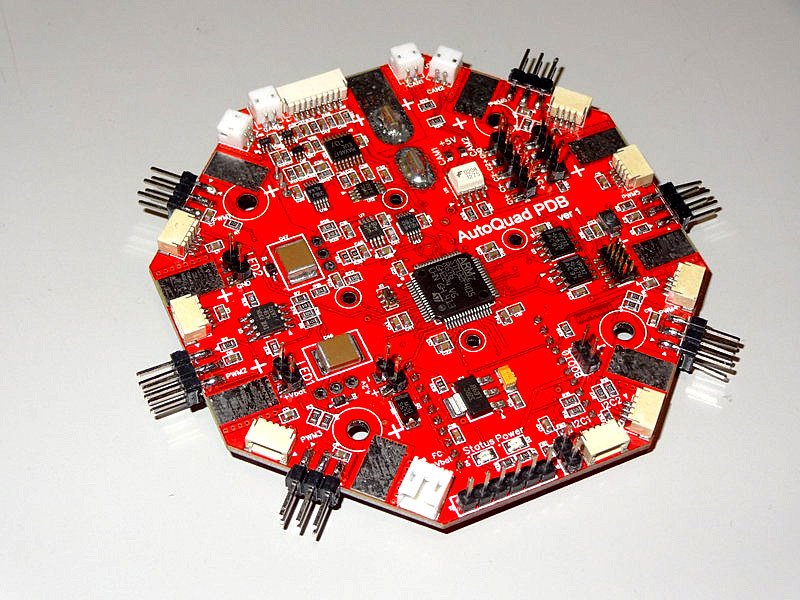 For a full featured Autoquad flight control solution with power and signal distribution, current measuring, OSD and up to 12 PWM servo channels, we have a AQ Motherboard in internal testing at the moment. 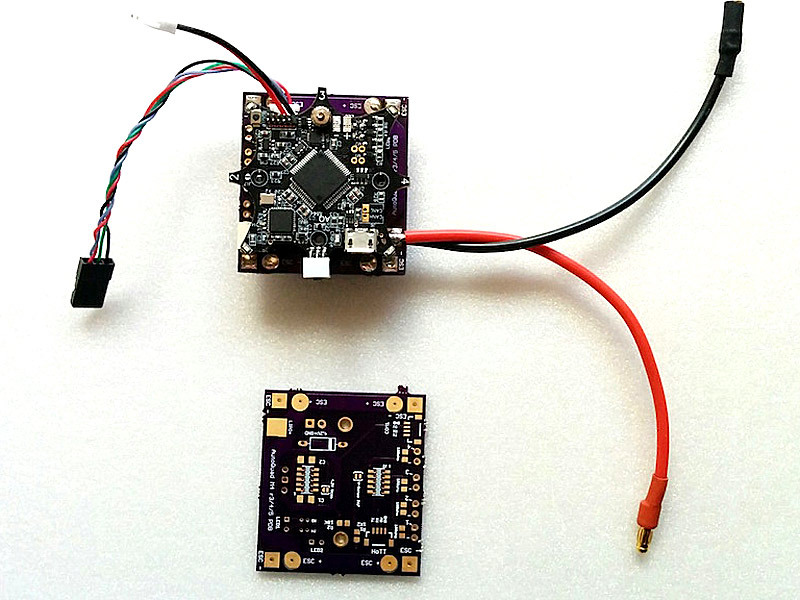 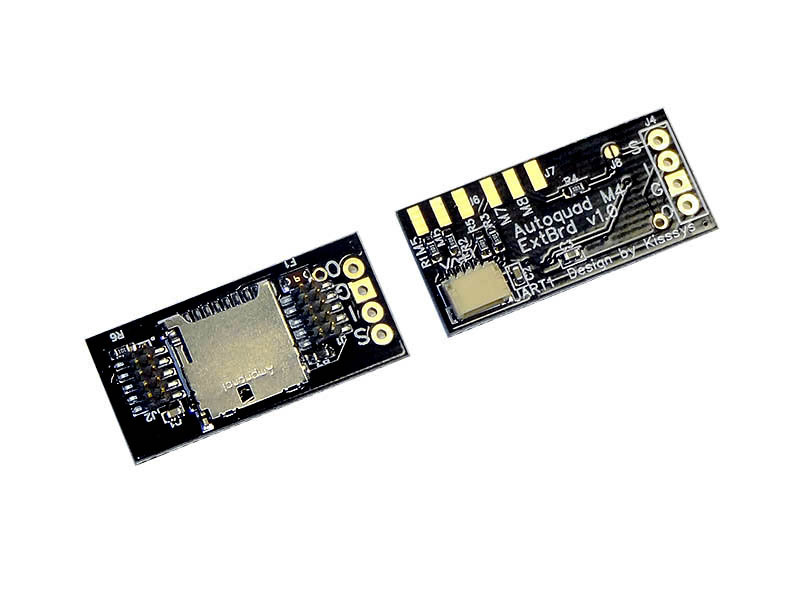 This board connects to the M4 via CAN bus and adds a lot of new functions like a 2-channel OSD, power and signal distribution, Opto-isolated camera power supply, Xbee socket, UARTs and LED drivers. 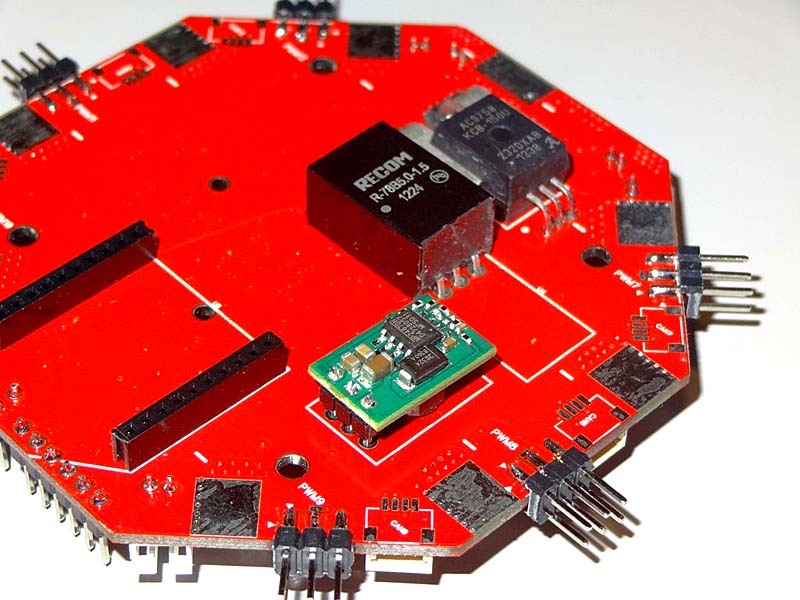 The motherboard is still in internal team testing, but we expect to release it to the public in early 2015. 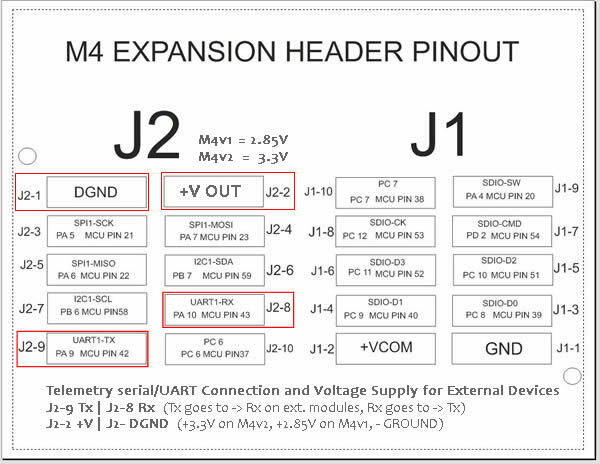 This page was created on 14-Aug-14 by jussi. 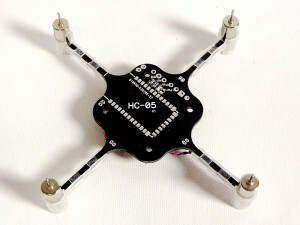 Last modified on 1-Feb-15 by kinderkram.